New iPhone models haven’t sold out as quickly as they have in years past. Apple launched the iPhone XR at 3 A.M. in the morning on Friday, and when morning came, nearly all of the models were still in stock, according to Macworld. It’s a change for Apple, which usually requires customers to wake up in the early morning to put in a pre-order if they want the new iPhone on the first day. Lines outside Apple stores when the iPhone XS and iPhone XS Max went on sale were smaller than they were in years past. 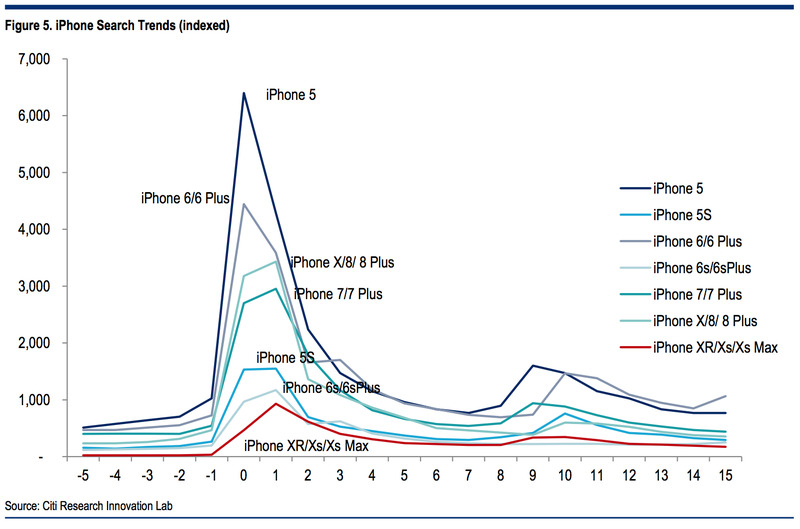 These data points can be taken as a sign that perhaps an iPhone launch doesn’t generate as much buzz as it used to. That’s what analysts from Citi concluded in a note distributed earlier this week, based on Google searches. “We observed there are significant spikes for web searches after the launch event each year. We also see the momentum has been decreasing over time,” the analysts wrote. There are a lot of reasons why search traffic might be decreasing year-over-year, and it doesn’t necessarily suggest that iPhone sales will sag. “We are not expecting a ‘Super Cycle,’ but we do believe sustainable single-digit unit growth of iPhone is achievable,” the Citi analysts write. 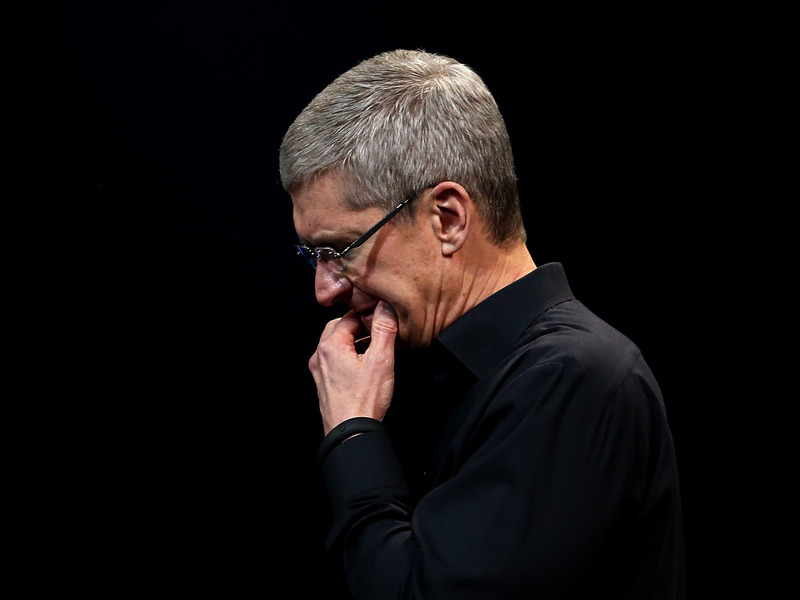 One issue might be that the overall smartphone market has matured. Apple’s big new features include water-resistance, a facial recognition scanner called Face ID, and a display that covers more of the front of the phone. But none of those banner features represent as much of a jump as iPhones from 4 or 5 years ago, when the camera was improving by leaps and bounds and the displays were getting much larger on an annual basis. It’s also possible that these search trends were collected before the iPhone XR went on sale. The iPhone XR comes in a bunch of colours, and starting at $US749, is expected to be the most popular new iPhone this cycle. 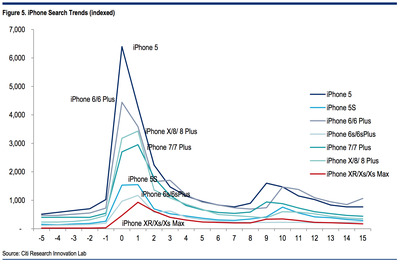 Regardless of why, there certainly does appear to be less buzz around new iPhone launches. Perhaps that’s why Apple is pouring so much money into research and development – to find the next big thing.